New for 2019! The famous Dalguise beat on the River Tay, 1¼ miles of double-bank fishing between Dunkeld and Ballinluig. Two rods per day, three days a week (Mon, Tue and Sat) from the 2nd day of the season till the end of June. All rods will be balloted. NB Balloted places can be cancelled up to 4 weeks in advance, but vacant places can be booked only three days in advance. Link to an aerial video of the Dalguise beat. The fishing hut and car park are on the west bank, accessed from the B898 road. See beat map. 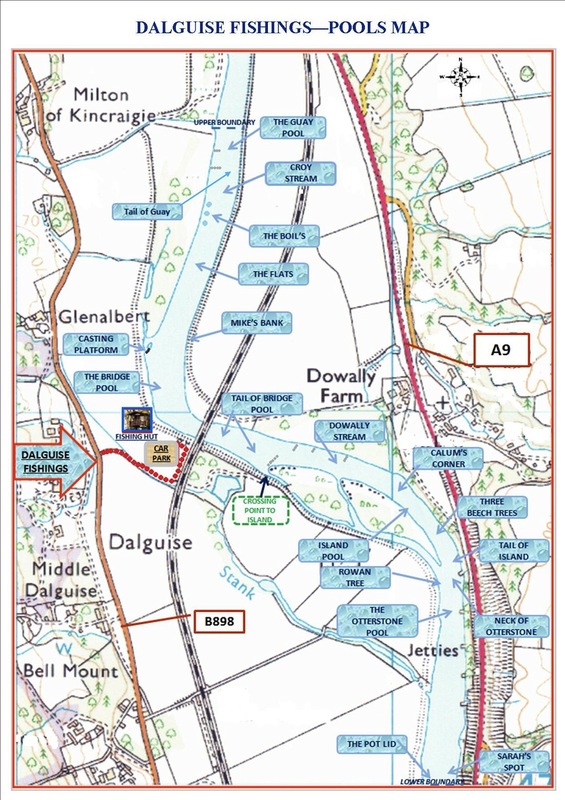 Dalguise has an excellent website with lots of useful information (click HERE).